Maths featured prominently last weekend in UCD as the Project Maths Development Team hosted their second conference: Maths Counts 2015. Central to the conference, were the presentations made by teachers involved in the Reflections on Practice initiative on teaching and learning mathematics in post-primary schools. Other significant developments dealt with at the conference which are at the core of professional practice at post-primary level were: the relation between Summative and Formative assessment, Key Skills and the Literacy & Numeracy strategy. Thanks to our keynote speaker – Professor Geoffrey Wake – who gave a comprehensive overview of his experience of teaching students to be effective problem solvers. Many of Geoffrey’s insights really resonated with teachers, especially those involved in Reflections on Practice. Thanks also to our guest speakers from The State Examinations Commission, the National Council for Curriculum Assessment and Maths Inspectorate who provided teachers with valuable insights into assessment, curriculum development and self evaluation. Thank you to all our exhibitors and particularly our main sponsor, Microsoft, who took the time to talk to teachers about all the invaluable teaching resources which are available. A final thanks to the teachers who participated in the Reflections on Practice initiative, for their commitment, time and professional input over the last number of months. Their visionary presentations released new energies at Maths Counts 2015. Materials presented at the conference are available below. 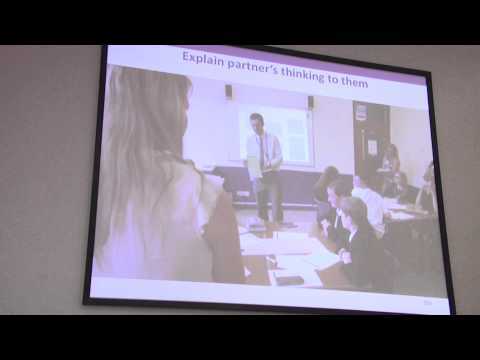 Professor Wake outlines his experience of developing students' problem solving. 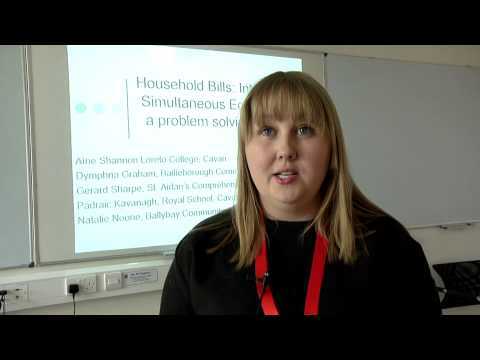 Natalie Noone gives an overview of teaching simultaneous equations. 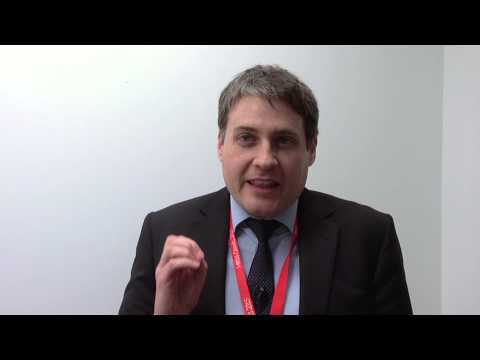 Pearse Ryan discusses the appropriate use of exam questions in teaching. 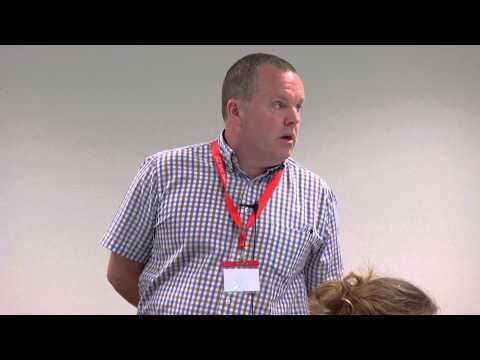 Kevin Carey discusses the teaching of problem solving. Keynote address by Professor Geoffrey Wake. See one teacher's approach to teaching students key maths skills. Using arrays for algebraic multiplication and division. Introducing quadratics through problem solving. Making sense of 'invert and multiply' when dividing fractions. Coordinate Geometry - thinking of coordinates as distances. Multiplying binomial expressions using an array. Proportional reasoning - giving students an intuitive understanding through problem solving. Valuing the variable - the hidden code. The effective classroom use of exam questions. Teaching the difference of two squares for understanding. Visualising and making sense of 'invert and multiply' for fraction division. Using a growing pattern to introduce the notion of a variable.